"During the Mexican period parts of the county were awarded as land grants, first to several Mexican families, then as part of Robertson's colony, but no settlement resulted from these grants. 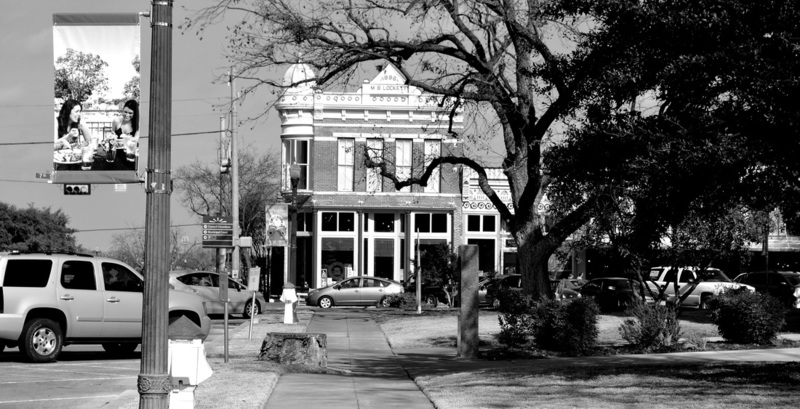 "Anglo settlement began during the Texas Revolution and the early days of the Republic of Texas, when the area was part of Milam County. "In 1842 many of the early farms were abandoned when Governor Sam Houston advised settlers to pull back from the frontier. The Indian threat eased after 1846, and part of the influx of settlers who came to Texas after its annexation traveled to the frontier along Brushy Creek and the San Gabriel River. 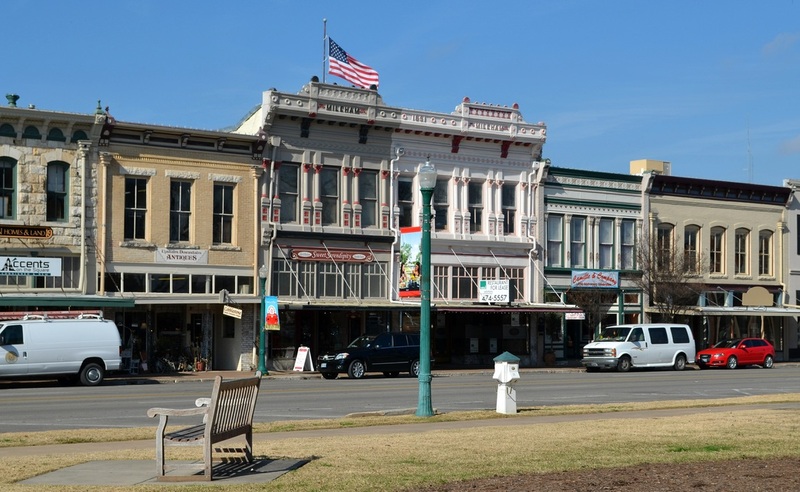 By 1848 there were at least 250 settlers in what was then western Milam County, and in the early months of that year 107 of them signed a petition to organize a new county. Recognizing that the petitioners needed a seat of local government that was considerably closer to them than Milam County's, the Texas legislature established Williamson County on March 13, 1848, naming it for prominent judge and soldier Robert M. Williamson. 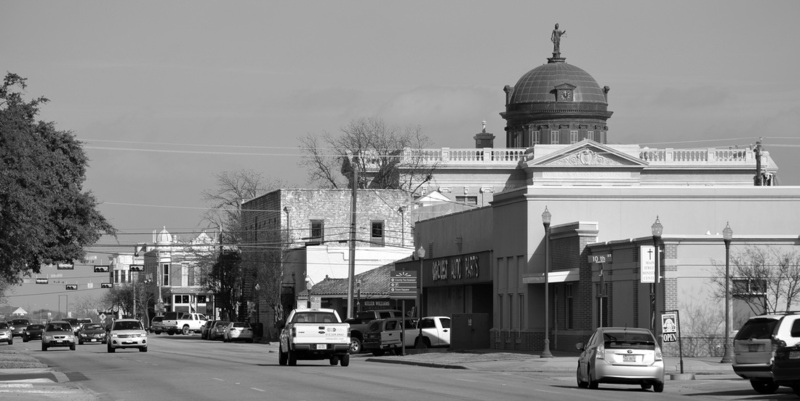 Georgetown, the county seat, was laid out during the summer of that year, and the district court was in session by October." 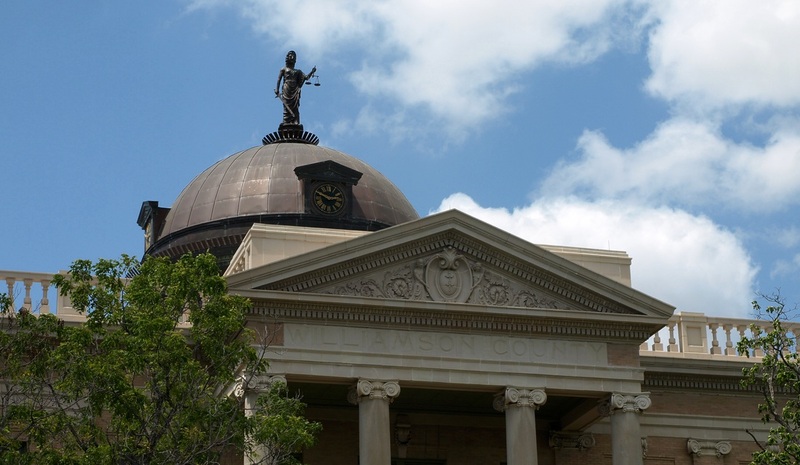 I visited Williamson County and photographed the courthouse in Georgetown on Saturday, June 25, 2011 and Friday, January 25, 2013. 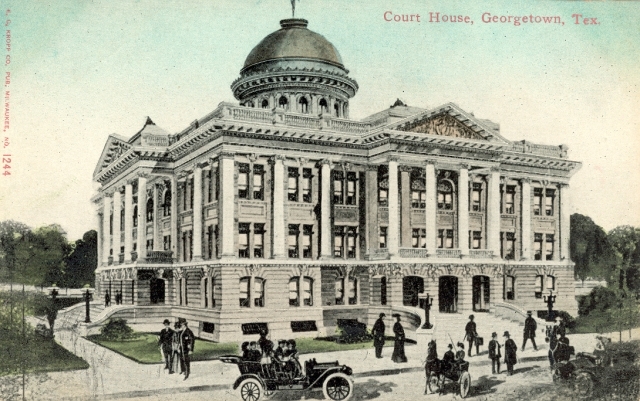 The 1879 courthouse, a Second Empire styled design, was designed by Jasper Newton Preston of the Austin architectural firm Preston & Ruffini. 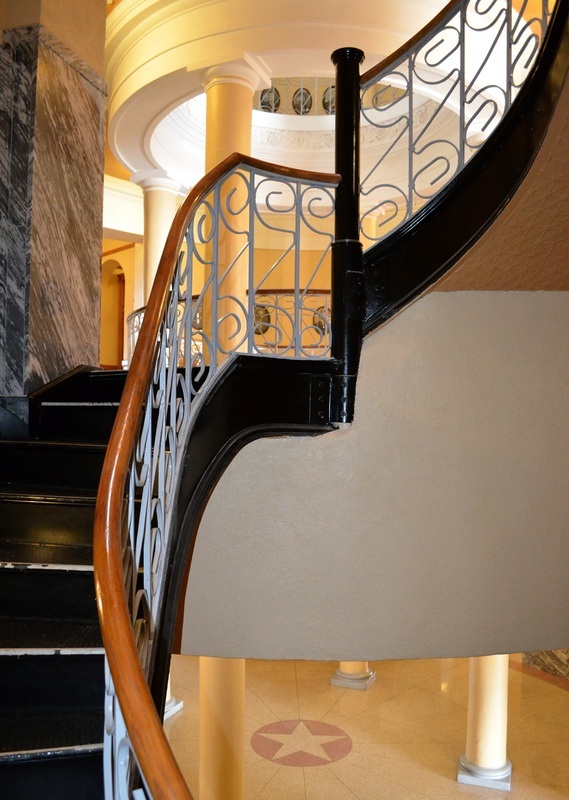 His partner, Frederick Ernst Ruffini, had a brother, Oscar Ruffini, who was also an architect. 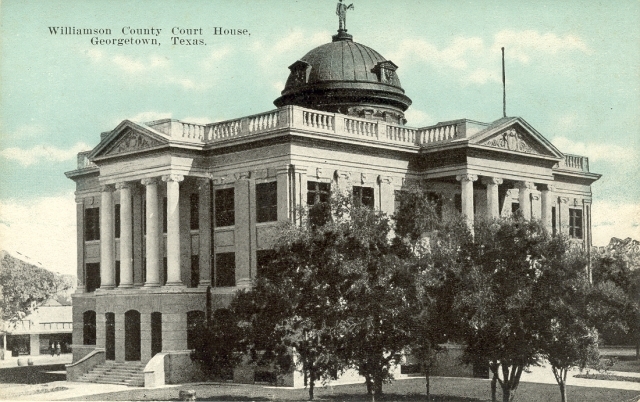 The 1879 courthouse, demolished in 1910 to make way for the current Williamson County courthouse, was nearly identical to the Robertson County Courthouse (1881) and Hays County Courthouse (1883). 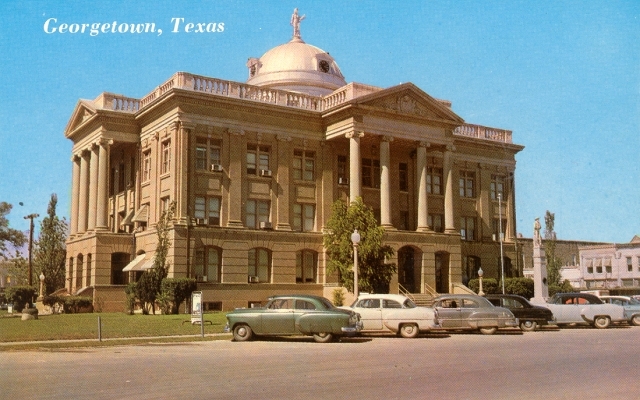 The Robertson County courthouse still exists, but has been severely altered. 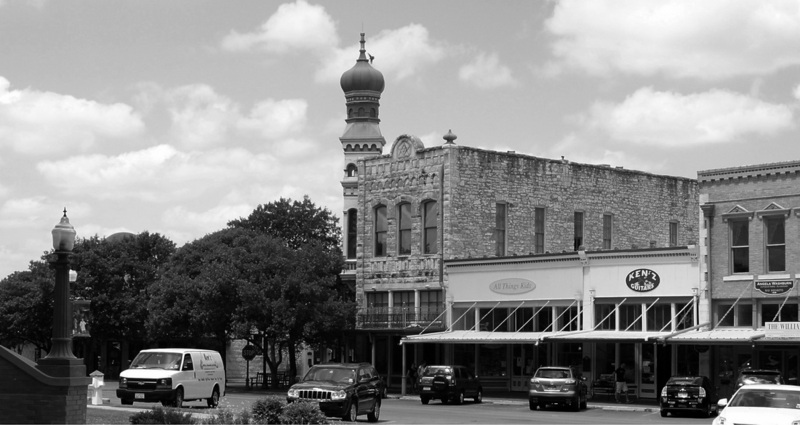 The 1883 Hays County courthouse was demolished to make way for a Charles H. Page designed courthouse - just like the progression of courthouses in Williamson County! 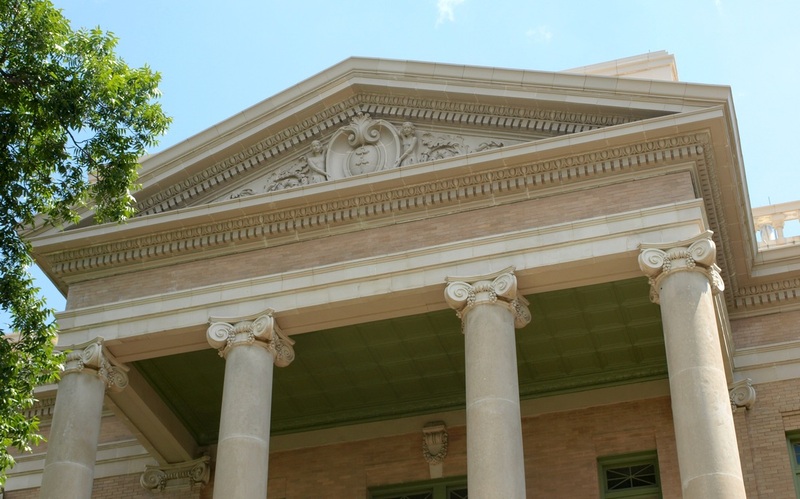 "Designed by Charles H. Page of Austin in 1909, the Williamson County courthouse is a sister of the Hays County courthouse in San Marcos. 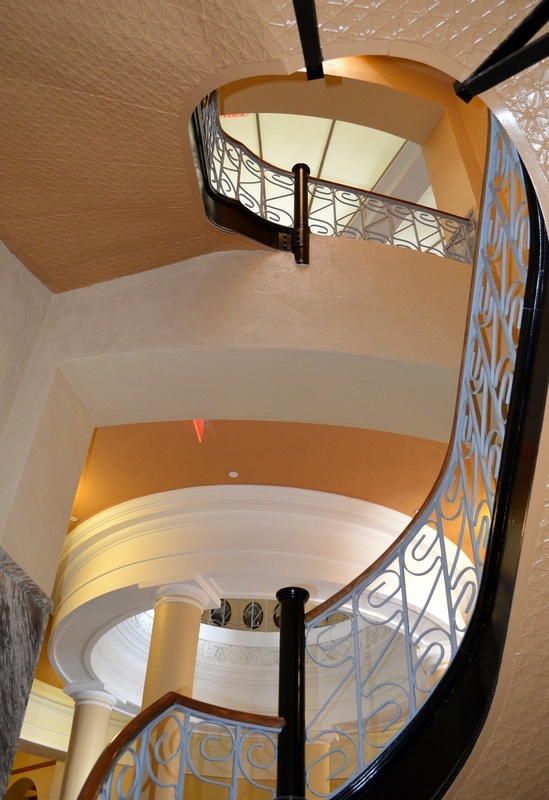 Rich in detail of the Beaux Arts style, the building's roofline was substantially altered in 1965 when the ornamental terra cotta balustrade and pediments were removed due to damage. 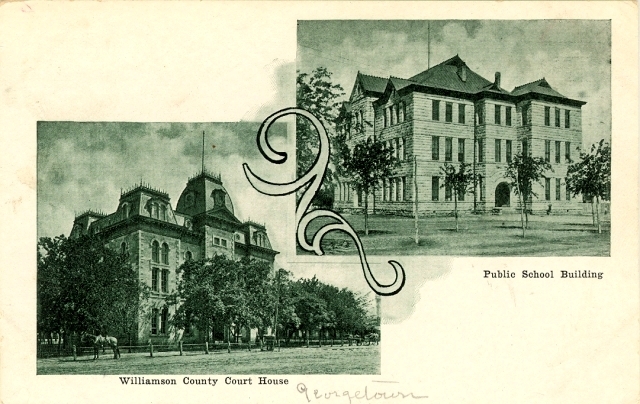 The Williamson County courthouse is indeed similar to the Hays and Fort Bend County courthouses, both of which were designed by Charles H. Page, Architect.